But was it in a galaxy far, far away? Star Wars director George Lucas has been speaking about his upcoming plans to remaster his space opera in 3D, explaining that his team at Industrial Light And Magic have been working on 3D conversion for a long time. 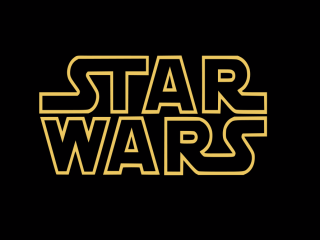 Star Wars is set to be released in 3D in 2012, with Star Wars: Episode 1 hitting cinemas on 10 February. Rather than this re-release being a cash cow for Lucas, he is hoping that it will revitalise the films for a modern-day audience. There are hurdles, however, like telling the 2D-3D converters what the sets looked like when the films were shot so the 3D is as close to the original masters as possible. "We got into the 3D field a long time ago. We've worked for years and years to build a group of people who could do this in an economic, reasonable time frame," said Lucas. "It wasn't until the last few years that we achieved that. We had Industrial Light and Magic supervise the whole thing. They are very familiar with it. The problem is that the people doing the conversion don't know what the sets looked like, or where the people were standing. Those are critical issues. "We were able to have people who were there, who knew where the actors were on set, and who were experts in the technology." As the majority of cinema enthusiasts are 2D-3D naysayers, Lucas has got an uphill struggle to prove that his conversion of the Star Wars franchise will work. He believes, though, that the team at ILM have nailed it, but don't expect the footage to "poke you in the face". "We have taken it to a level that is equal to anything that is being shot in 3D. There are two kinds of 3D. One is behind the screen, and the other is the traditional 'effect' of 3D, where they poke things in your face. "I am not a big believer of poking things in your face. I am a believer in watching a 3D movie, which is a better experience than watching a 2D movie. "It's like going from black and white to colour. It's a better way to watch it. Its three-dimensional, it feels much better. That's what you are going to get from the new Star Wars."